Eveyrbody want to go to Thailand! It’s for sure one of the most popular destinations in Asia. But is it any good for kitesurfing or surfing? There are few different locations that are known as the spots for boardsports people. Here you will find a full description of the most popular Thai island – Phuket. 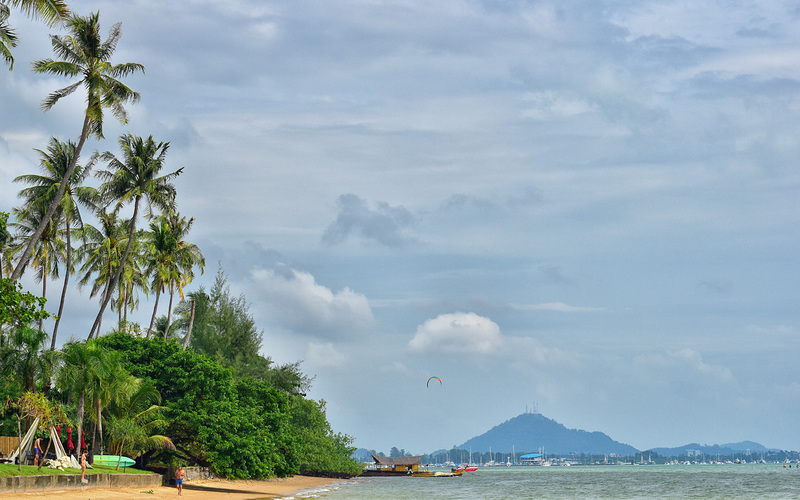 general location: there are two spots where you can kitesurf on Phuket island but depending on the season operate only one at time. If it’s winter season (Dec-Mar) than it’s the spot on Chalong Bay at the south-east cost of the island. During rainy season (May-) winds come to the Nai Yang spot on the north-west cost.